Here in Japan, a certain tipping point is often passed once the child enters a school setting. As Japanese then develops quickly, and grows dominant, it soon serves as the lingua franca for parent and child. The parent may still strive to speak in English, and encourage an English response, but the child’s English ability becomes largely passive and he naturally tends to rely on his stronger language, Japanese, for most communication. There’s nothing wrong with this, of course—I’m not making a value judgment. On the contrary, because I’ve seen the concerns of many parents up close, as a teacher—and because I’m now a father running myself ragged to support the English side of my own kids—I have real empathy for every family braving the significant challenge of raising a bilingual child. That’s a big reason I began this blog, to be of some help. At the same time, I want to share why, personally, communicating with my children in my mother tongue is so important to me. Let me tell you what happened on Monday afternoon. Lulu, as you may recall, loves to dance and she’s been taking a dance class (jazz/contemporary dance) for over a year now. I’m the designated driver, and during the 20-minute drive to the arts center where the class is held, I try to engage her in some discussion about the things on her 8-year-old mind. What if humans die, like dinosaurs? What happens after we’re dead? Now, remember, I had only 20 minutes to explain the entire universe—and I’m hardly a scientist or philosopher in the first place—but I waded right in and did what I could to share some of my deepest thoughts in words that she might hopefully grasp. My Japanese isn’t bad, but it simply wouldn’t be possible to convey who I am to my children—my true self, both the soulful and the silly—in any other language but English. It’s true, of course, that a child’s language ability remains quite “plastic” and weaker skill in the minority language can readily “catch up” to the majority language if a change of circumstance results in greater need and exposure. So it’s certainly possible for a child to activate a passive ability and ultimately achieve a high level of second language proficiency in the future. Because English is at the heart of who I am, being able to communicate with my children in my mother tongue also benefits our bond throughout their childhood. Both are important to me—both the present and the future—and account for my overwhelming desire to do my very best, every day, to nurture the English side of their bilingual ability. If both are important to you, too, keep giving it your best. I’m rooting for you. How about you? How important is it to you to communicate with your children in your native language? First of all, thank you very much for this really valuable blog! 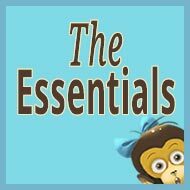 I don’t have children yet, but I started to research a bit on the internet and so far I didn’t come across a lot of articles that deal with problems that parents can encounter. Yes, communication in my native language is very very important to me, because I see it as a strong bond between me and my future children, exactly what you have been saying, about conveying who I am to them and vice versa. Our circumstances is that I live in a country whose majority language I speak to some extent and I am still learning it, but which unfortunately I can’t get to love. I try and I learn it, but I can’t develop deep connection with this language, which is a great obstacle, as I am very much verbal person and now more than ever I notice how language is important in my understanding the world and being in it. It is a native language of my partner and if we stay here, I would be the sole source of minority language. I really have troubles picturing our future family life. I don’t want that the battle to maintain minority language becomes the main thing I do with children, I don’t think I will ever be comfortable enough in their majority language, and I want that I share the same language with my children, same world, I want that they also “live” in this language, not just use it to speak to one person, me, and on rare occasions. I am afraid that us not totally sharing the same language would make gaps between us. So I could provide exposure, but not that much of the need for children, but need for me, I would find it so hard to bear the communication problems. It is one of the reasons why I am seriously thinking of moving back to my country together with my partner before we start a family, that and me not really managing to settle and feel at ease and at home in the country where we currently are and its language. Of course, then my partner could have similar problems, children as well in maintaining his native language, him learning my language and changing career path and we would face problems of living in a country with much worse economy. I am just wondering if I am overthinking all this, am I being too selfish, not able enough to adjust, are my reasons why I would love us to move to my homeland good enough. Because to me they feel so strong, but I don’t know if I am not seeing the big picture? Soon we should make a decision and I guess there are no good or right ones, we only have to live with the consequences. Whichever way we go, I will for sure be coming back to this website! Nina, I hear your concerns and feel for your struggle. It’s an important decision, one that will shape the coming years, and I think you’re right to consider it carefully. Then ask the same questions for the other scenario, and your partner’s language, if you lived in your native country. Obviously your decision won’t be based on this issue alone, but it’s something that should also be weighed. There are no perfect paths, of course, and you can always try one path and then the other, but either way, you must be prepared to take on the challenges with a strong spirit—a spirit that not only is deeply determined, but one that is also light and joyful. Like anything in life, much of the bilingual journey, in my opinion, is about attitude, and if you’re not free to make changes to the circumstances you have, you’ll still always be free to change your attitude toward them. It’s an odd and delicate balance, but I think we have to be both very serious about this quest and yet very playful. Whichever path you finally take, if you persevere, with humor in your heart, your family will no doubt experience a lot of happiness and success as you travel toward your bilingual goal. And I’ll be here, cheering for you. Sarah, welcome! It sounds like our situation is similar in that my wife’s English level is low, too. As I describe in more detail in What’s the Best Language Strategy for Raising Bilingual Children?, our decision to use the OPOL approach (one person-one language) was straightforward since neither one of us is really fluent in the other’s language. As for nurturing a firm foundation in the minority language, time spent in an environment which provides intensive input in that language (such as stays with grandparents) is certainly very helpful, but the main things to consider are starting strong from birth and maintaining sufficient need and exposure. You can find my thoughts on these important subjects at Warning to New Parents Who Dream of Raising a Bilingual Child and What to Do When Your Bilingual Child Won’t Speak Your Language. Sarah, I wish you and your husband the very best! You can definitely do it! Thank you so much for all the good things you have shared here. I am a mother that I’m trying to raise my daughter bilingual. My mother tongue is Persian, but I just spoke English with my daughter from her birth time. Sometimes I really feel that some words could not be said in my second language, English. But as I searched and as I studied a lot, I chose a strategy (one person – one language) to speak with my child which will help her brain to separate the languages better and could use both of them in near future. I read this article you wrote here, and I am really agreed with what you said; but I really want to know your opinion in this case. Because I read that I should continue what I’ve chosen at least until she is 4 years old (now she is 2). My question is after that time can I speak both languages with her? (Persian and English) or it is better I keep on talking with her in English? Because I always think about what you said that if one day she asked these questions about life, how can I explain them in English that is my second language. Thank you for all your great notes. 1. Where do you live and what is the majority language there? 2. You use English with your daughter, and what language does your husband use? 3. What language(s) do you and your husband use with each other? 4. What kind of exposure to Persian has your daughter already had? What exposure to Persian is available to you besides the exposure that you could provide? 5. What about schooling? In which language will she likely be educated? Thanks! I look forward to your reply below! I have same concern as Mona. English is my second language and I’m wondering if it’s also possible to teach my daughter my mother tongue which is Filipino. She is 7 years old and speaks both English and Japanese. I tried teaching her little by little in my native language but she is a bit reluctant. *I live in Japan, Japanese is the majority language. *I use English with my daughter and my husband uses Japanese. *My daughter’s exposure to Filipino is from the Internet because I always watch Filipino TV programs. And also I have Filipino relatives and friends coming over to our house once in a while. *My daughter attends an international school since preschool. She’s currently in first grade. Meirin, at this point, because your daughter is a bit older, with English and Japanese established as her two main languages, the aim to add Filipino is like Japanese children learning English as a second language. You have a distinct advantage, though, in that you’re a native speaker of Filipino and could potentially provide her with exposure to this language on a regular basis. However, because English has become your shared language, she would likely resist your attempts to now emphasize Filipino too heavily in your relationship. At the same time, if you pursue this lightly and playfully—making her experience of Filipino as enjoyable as you can—then you could bring in a certain amount of Filipino into your home each day: reading books to her, playing music, playing games, watching TV, etc. 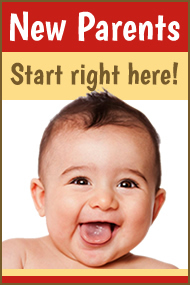 In this way, you would gradually and steadily be nurturing her development in this language. And, of course, if you can continue to create social opportunities with other Filipino speakers, and even regular trips to the Philippines, these actions would have a very productive impact, too. I send my best trilingual wishes from Hiroshima! Hi, I love this website, it has been very helpful. I am living in Spain and my husband only speaks a high school level of English (…very little). I can speak Spanish but with a horrible accent and I also would feel uncomfortable explaining to my children thoughtful and profound thoughts about the universe and life when the day comes that they ask me. I am worried that since I am literally the only person I know over here that speaks English and the school systems (even though they are “bilingual”) have all Spanish speaking teachers teaching English. I want to only speak in English to her but I worry that if I am the only one speaking in English that my daughter (who will be born in June) will realize quickly that she doesn’t need to speak English especially if I can speak Spanish. I would like to speak English only in the house but my husband doesn’t speak English and neither do the grandparents or great-grandparents. I am just concerned and wondering if you had any thoughts of what I could do? It sounds like you have a similar situation as in your partner doesn’t speak very much English either (although, we can’t communicate at all so I don’t know if that counts as knowing English). Any thoughts or suggestions? I would love it. Grace, welcome and thank you for the warm words. I’m glad you’re finding my site helpful. 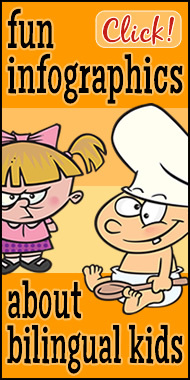 If your husband can understand your English, at least to some extent (start practicing now! ), I would advise that you use only English around your daughter, especially during the first few formative years, even if he uses Spanish. By doing so, to the degree you realistically can, you will significantly raise the odds of fostering a firm foundation in English and “conditioning” her to use this language with you once she begins to speak. 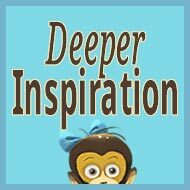 The more Spanish you use around her, the more you may lower the odds of success because your daughter will eventually realize that you speak Spanish, too, and this will undermine her need to communicate with you in the minority language, a crucial factor for language development and use. Your circumstances are tricky, it’s true, but if you’re the main caregiver and can spend ample time with her during these early years, then this is an important plus. It’s very interesting to read these responses, because as of right now, I could imagine myself not speaking English. I never had a particular connection with it, and I’ve come to be irritated with its ubiquity that I guess I just don’t see a point; they will learn English from the beginning in school. I think that in the scenario where English is the minority language, the bigger struggle would be me getting my skills in the majority language up to a good enough level. Maybe it’s selfish on my part, but I don’t always want to be known as the English speaker who is too lazy/stupid to learn the majority language. I appreciate your perspective, and, of course, there’s no “right” way to approach this issue. Like so much of the bilingual journey, it’s a personal choice based on individual circumstances. I acknowledge that, and respect that. At the same time, I should say that I’ve heard from people with a similar view who later came to regret their decision, for largely these two reasons: the children were unable to communicate easily with grandparents, which was a sorrow for both sides; and acquiring good English ability later on didn’t turn out to be as straightforward as imagined. I think this post makes a good point that our personas can be slightly different depending on the language we speak. As a native English speaker living in Spain, sometimes I worry that some Spanish speakers don’t really see me the same way that English speakers would. Whether it’s because we can’t express ourselves fully in another language, or simply because another language brings another person out in us, I believe that this can affect our communication and relationships. Alana, I agree. In my case, because humor is at the heart of my identity—and it’s far more difficult for me to be quick-witted in Japanese—a huge part of me is missing when I can’t use English. 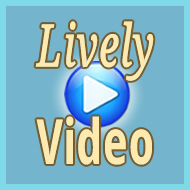 Valuable website! I can see me referencing this often. I’m really just after some advice or thoughts…my husband and I are English speakers living in Sweden and expecting our first child. My husband is determined our child will speak primarily Swedish but I’m concerned how this will affect my relationship with our child as I will be primarily at home with him/her and my Swedish is still very basic. We are both keen for our child to speak well enough to fit in well at preschool age but until then I need to be able to converse on an intelligent level in my own language! What should we do here? 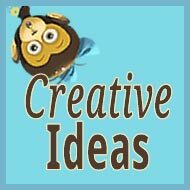 Are there any resources/books available where parents have shared similar experiences for example? Thanks. Jude, I understand, of course, the importance of your child acquiring the majority language, but it isn’t clear to me why your husband would want him/her to speak “primarily” Swedish. In your circumstances, the most effective approach for nurturing good bilingual ability over the longer term would be for you to use the method dubbed “minority language at home”: both parents use the minority language with the child while the majority language is acquired from school and from the community. Even if your child developed no Swedish at all for the first few years, he/she would quickly acquire it once immersed in a school setting. So I would encourage you both to use your mother tongue and rely on the larger environment to promote the acquisition of Swedish—unless there’s a clear strategic reason for doing otherwise. Assuming you remain in Sweden and your child attends Swedish schools, the child’s eventual development of Swedish should not be a concern. 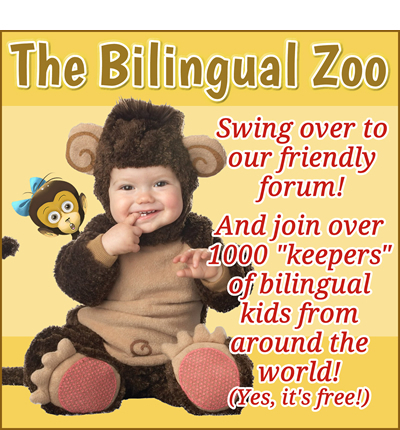 I would also recommend that you look closely at the Posts for New Parents and join the lively community you’ll find at The Bilingual Zoo for additional support. Hello! I am glad to have found this website. There are so many stories that reflect my worries of raising a bilingual kid as well success stories that will encourage me to keep going. Me and my husband are Indonesian, and currently live in Tokyo. Husband speaks fluent Japanese (been in Japan for more than 17 years). While I speak in English, and I converse with him using both Indonesian and English (particularly when I’m upset! haha). We have a 6-month-old baby and we are arguing again and again about what our home language will be. One good thing is that we agreed that our house will be a totally non-Japanese environment, not even TV or anything else. We know that she will pick up Japanese easily from her childcare and school later. I have a strong desire for her to be able to communicate in English as we know it’s now a universal language. And being an English-speaking non-native speaker, it was a long journey for me to be at this stage or at least I was lucky enough to have a few years experience working in an English-speaking country. Having said that, I would think it’s a waste if I don’t at least give my daughter an English-speaking environment while her mother can actually speak the language. Now, I’m torn. 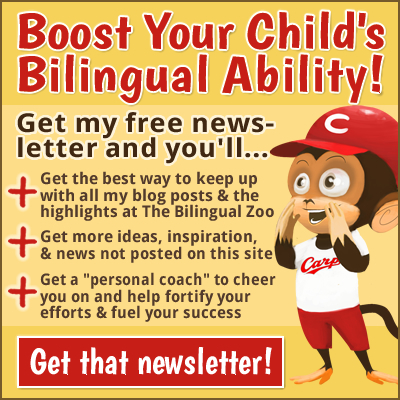 I heard that consistency is the key to successfully raise a bilingual kid – relates back to your point on “need” and “exposure”. Although I have almost no problem communicating in English, I find that it’s tiring talking to a baby in English. While of course, talking to her in Indonesian will be much easier. 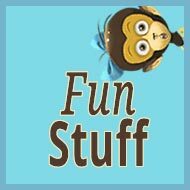 Our initial plan is to use Indonesian as our daily verbal language at home, while having all entertainment and play sources in English (books, TV, cards, etc). Will this confuse her? Will this be just a half-half effort where she will mix both Indonesian and English? It’s already difficult enough giving exposure of our native language in a Japanese environment. Will giving our child 2 non-Japanese languages at home just bury her in confusion and eventually make her feel lost? Cikki, first, a big CONGRATULATIONS to you and your husband on the birth of your first child! 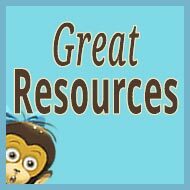 If you haven’t already seen it, I recommend a close look at this resource page of posts for new parents. As for your situation, this is a bit tricky, but I think you’re on the right path to providing effective support for your daughter’s trilingual development. I agree that you needn’t worry about Japanese: she’ll acquire the language quite quickly once she enters a school setting. So limiting her exposure to Japanese in the home, while stressing your two minority languages, is a good idea. I agree, as well, that you and your husband should emphasize the use of Indonesian, particularly in the first few formative years. This is your mother tongue, after all, and because acquiring Indonesian in Japan is even harder than acquiring English, I think you’d probably have more long-term success in nurturing all three if Indonesian was the higher priority right now. This isn’t to say that you can’t provide exposure to English as well, but I would suggest that she be exposed to Indonesian much more, maybe 90% of the time. The balance between Indonesian and English can then gradually shift over the years—from a split of 90-10 to 80-20, 70-30, etc.—until both languages are used freely by the whole family, depending on the need and situation. And I wouldn’t worry about your daughter becoming “confused” by this use of the two minority languages. You can help her distinguish them, though, by trying to separate your own use into clear “domains.” For example, rather than mixing in English more randomly, establish a set time each day when you use English to read books, sing songs, etc. You might even start and end each “English time” with a cue, like a favorite song. Then the rest of the day you continue your consistent use of Indonesian. Cikki, I hope these thoughts are helpful! I send good wishes from Hiroshima! My husband is Ukrainian, I am French and we live in the US with both our boys 3 and 1.5 yo. My husband doesn’t speak French and I do not speak Ukrainian. I only speak French to my kids. My husband doesn’t speak Ukrainian 100% of the time to them. As a result (well, that only applies to the eldest for now), they are fluent in both English and French and understand completely Ukrainian. I can see how English is becoming dominant. He goes to school full time (9 to 5, 5 days a week). I am noticing now the probable reason for that which is playtime with peers. Nothing can replace playing cars and trucks with other boys their age. Also there the preschool teachings that are taking place. I’m a typical French mom and am the opposite of those wonderfully committed American moms which can do homeschooling and Pinterest type activities. For that reason, I am missing all the playtime opportunities. We have everyday life type of conversations. But I don’t find myself connecting with them in my native language as much as what must happen at school. For example, whatever nursery rhymes they learn, they never hear again at home. Reversely, I don’t really find opportunities to sing the French ones to them, by lack of time and also lack of memory. Another thing, I can see how the eldest’ learning of playtime conversation skills in English is presenting him to use English as his dominant play language with his brother (who is speaking his first words now). How do I redirect/mediate their play language to French? Emilie, yes, these are challenging conditions. Not only are the children already receiving heavy exposure to English from the environment, I assume they also hear you and your husband communicating in English on a daily basis. This means that on top of the fact that this input is proportionally greater than their exposure to French and (especially) Ukrainian, they will likely come to feel a decreasing need to actively use these minority languages under such circumstances. Emilie, I hope these thoughts and links are helpful to your efforts and your success. Despite the difficulties of the situation, please stay strong and continue doing the best you can, day by day. To start with, Adam, I’d like to congratulate you about such a marvelous website! I’m deeply grateful about all the posts you’re sharing with families struggling to raise bilingual or trilingual kids and all the support you’re giving everyone and, as a result we all can take advantage of it by picking up some tips and learn from the rest. I’ve just read a few posts and I’m willing to go back to your site very often. I wish I could have found it before my kids were born! I also subscribed to your newsletter! I would appreciate if you could give me some tips about the journey that is ahead of us to raise my kids bilingual or maybe trilingual! I’m Spanish, my second language is English, and third (a bit forgotten by now) is French. I wouldn’t dare to mention I also learnt German, too as I can hardly remember much, though I was fluent once, long time ago. My husband is Spanish too, second language English, and third French (his French is much better than mine). We live in Spain. Daddy and I communicate in English at home in front of them all the time but when we are with family and outside we speak in Spanish (their dad speaks to them in English in every situation). I have to say that we just go to see family on long weekends or holidays for a week or so at Christmas, or summer. We’ve got two boys, 6 and 4 now. They attend a Spanish school in a small town. We’ve been speaking to them in English, reading aloud, listening to music in English, TV in English since day one UNTIL they started school at the age of 3 when their tutor asked me to talk to them in Spanish two months later starting school so they could be more communicative in Spanish as they could understand Spanish but couldn’t speak it much (just a few words) and felt terribly helpless, crying, seeing his peers were improving their Spanish but them (especially the eldest), in their respective years. So from that moment on, my husband and I decided he would speak in English to them all the time and me both Spanish and English. To be honest, at first I didn’t establish clear domains (something I regret doing it), so I tried to translate from Spanish into English so they didn’t miss any language. I sometimes speak in English and Spanish at random. We’ve also had an au pair for summer for 3 years now, and you can tell they’ve been of great help. At this stage obviously, the eldest can speak Spanish fluently and the youngest started to speak Spanish a bit more fluently since last September. Both speak in English with his daddy, not with me, in spite of the fact I beg them to speak to me in English when we are at home and when daddy is around, they insist on speaking in Spanish all the time even knowing dad is there. As I’m currently the main caregiver, I think I should focus more on English from now on, for them to get a balance of both languages so they can have more exposure to English, passively but especially actively. I’m noticing they’re losing fluency when they speak in English and that is heartbreaking. On the other hand, I would like to talk to them in Spanish sometimes (for Spanish homework and for other special occasions as you mention in your post, since it is my mother tongue and I also love my language as much as I love English). As a matter of fact, I begged my eldest kid last week to speak to me in English at home when there aren’t Spanish people around, their nanny, for example, and he replied to me “Is it going to be like this forever?” and he started to cry. At that moment I got deeply confused and moved. But I also thought, is that part of the majority influence, it’s kind of trying to get my kids avoiding using the minority language? I’m totally confused as you can see so I don’t blame my kids if they don’t talk to me in English. But Spanish doesn’t bother me much now, for we are in Spain and they will get the language easily. We established an English homework routine since last October for the eldest (with Jolly Phonics and other Phonic books, Spectrum to start with and some Comprehension books for very basic level). We are trying to get him to read too, with some sort of Read it Yourself books so he can get a strong literacy in English, too, in the future. At least, this is part of my dream. As for the youngest, my idea is to get him to do English homework once he is more familiar with the Spanish letters of the alphabet. Would it be OK this? Can you please give any tips so my kids can talk to me in English too, knowing I can speak Spanish and English if this is OK for them to become bilingual? I know I should get a clear idea what to do so I don’t confuse my kids to talk to me in one language or another. My husband and I also thought about having an au pair for 2 or 3 months before summer to foster their active English, and for us too, of course. But in the meantime how can we condition our kids to speak in English more often? What about introducing French at this stage? I’ll find out how to buy your book to contribute somehow to your website! Congratulations for your constructive and useful job! Inés, I’m really glad that you’re finding my work a helpful source of support on your bilingual journey. I’m grateful for the positive feedback. I understand the situation, and your frustration, but the first thing I would say is: Well done! Despite the difficulties (and everyone experiences certain difficulties), you and your husband have clearly achieved a lot of success so far on your journey. I encourage you to emphasize that happy fact, to fortify your spirit, as you now move forward. Along with these efforts, bringing in an English-speaking au pair and perhaps pursuing a trip to an English-speaking destination could also have a very productive impact on their language development and use. I hope these thoughts are helpful to you, Inés! I look forward to hearing good news from you as time goes by! P.S. As for French, I would first move forward more confidently with English before adding this language to the mix. My mother always spoke English with me, the minority language, though not her native tongue. She did an excellent job of explaining the universe to me, and though I am now grown and speak her native tongue fluently, we still switch to English for matters of the heart conversations. Now with my son, we live in an English speaking country. I use my mother’s native tongue with him even though it feels odd to me. But if my mother could raise me and love me in English though she was not initially fluent, surely I can raise him and love him as I AM fluent, of only just shy of native (as we got older my siblings and I switched back and forth easily depending on the topic of conversation). Catjy, I certainly admire parents who feel comfortable communicating with their children in a second language, and I wish you all the best on your bilingual journey with your son. In my case, using a non-native language just didn’t feel like a realistic option for expressing myself freely and fully with my kids. Zam from Canada. I am a single dad of 3 kids. My oldest is 6 and my second is 4 years old. They are exposed to the majority language outside the home when they step out: English, then full-time French school all day, 9 to 4 p.m., then they come home with me and I’ve been speaking to them in French since they were born. So we speak in French and the 6-year-old is bilingual in English and French. TV is mostly in French (if available in French), otherwise it’s naturally in English. They are only with me one week at a time, the rest of the time they’re with their mother where they speak in English. So far, so good. Like you said in one of your posts: who you are at your core and wanting to give that to your kids, but time is limited and many other things are important. It’s a multicultural environment, but still there’s no time. I myself have a very complex identity: my mother tongue is a dialect from India (Gujarati), I was raised to speak French, English is now my dominant language, but I’m still totally fluent in French and Gujarati. By myself, I also learned Hindi and Urdu, languages that I love, and I always try to find people to practice and talk with. My issue is: My identity is French Canadian, and Indian, and I like talking in Hindi and my parents talk to me in Gujarati. I think it’s important that my kids know French as an important advantage for the future, but also because it’s my identity, too. However, I feel I made a mistake speaking to them in French since birth as I couldn’t speak Hindi with them at the same time, it wasn’t realistically possible then and not now, either. But now I feel that the 6-year-old speaks French and English well, but where is my Indian culture and language identity? Realistically, I’m not able to teach them Hindi every day (I try to use a few words, but it cuts in the French then) and it’s difficult because I have to explain to them every word I say and ask them to use it with me. (They can only use it with me as there’s no time for making Indian friends outside). I want them to become like me, have ALL the identities because this is who I am, I am French, Indian, and Canadian and they all matter to me. If the children are not getting Hindi, too, then I feel at a loss, I guess even more than French. I don’t think I can do it ALL, realistically, but I want them to feel okay culturally and identity wise… What have you seen in your experience? Zam, thank you for sharing your situation. First, let me commend you for all the good efforts you’re making in your children’s lives to provide them with a multilingual and multicultural upbringing. It’s important, I think, that you pause and give yourself full credit for the positive side of your experience so far with your children. At the same time, I understand your frustration over the fact that you’d like to nurture more of their Indian identity and language, too. Based on the sound of your situation, it doesn’t seem realistic to expect that your efforts, and their progress, toward this goal can become a large part of their current lives, like English and French. But that doesn’t mean you can’t take small steps in that direction, day by day by day, and over time—over the months and years ahead—they can become more and more familiar with this part of their heritage. The key, I think, is to engage in the target language and culture in playful ways so they will enjoy the experience and want more. If it feels like “homework” or if they are unable to engage in the activity because of a lack of comprehension, then these efforts won’t bear fruit. Basically, I think you need to perceive the children as foreign language learners and “teach” them Hindi through fun activities, just as a language teacher would if tasked with this challenge at a preschool or kindergarten. Such activities could include: playing active games with simple language for movements, dancing and singing to music, making crafts, cooking, reading simple books, etc. Still, unless the circumstances were to change in large ways (like enrolling them in a Hindi school or having them spend a summer in India…which might be a possibility, actually), it’s also important that you hold realistic expectations for the outcome: your children may not reach a very high level of proficiency in Hindi, but if they come to feel positively toward the language and toward the culture, and appreciate that side of their identity, then you will have achieved something very special indeed. Thanks for the well-formulated response. I get your point about not realistically having the children speaking and understanding Hindi at the same level as French and English due to lack of exposure and need (I myself started self-learning Hindi from the age of 12 and have become quite fluent now at 37! and speaking with colleagues and friends and watching Indian movies). That is the thing, now I feel guilty and sad that I lost my opportunity to embed them in my ethnic culture and language from the beginning and chose French over Hindi, but if I now start Hindi then I am omitting French and vice versa I am omitting Hindi, but I am part of both as identities and I can’t let go of either language. French exposure was possible because there are French schools, and I am proficient and available. Hindi is not the same case, except there are people and programs around. You are right about the lack of comprehension: I cant do phrases with them as they don’t even know what certain words mean in Hindi, so I translate to them every time, saying: Regarde il pleut dehors (look, it’s raining outside), telling them, look it is “barsaat”, which means rain in Hindi! My brothers kids are getting to learn all the languages as they live together with my parents every day, so my parents speak to the kids in Gujarati, their mother speaks to them in Hindi, their father in English and French, and they go to a French school. How do I make it comprehensible to them? What did you mean by simple language? Zam, I don’t recommend that you replace French with Hindi, to any significant degree. That doesn’t sound like a realistic approach to your aim, given the current circumstances. I’m simply suggesting that you add Hindi in small amounts to each day, such as starting with a 30-minute “Hindi Time” and then see how this effort goes and how it might continue to grow. If you try to do too much, too soon, I’m afraid your children will reject Hindi and the experience will be disappointing for everyone. So start small and stay patient. Playfulness and persistence, day by day, are the key to long-term success. As for getting started, and pursuing suitable forms of language, activities, and resources, I strongly advise that you explore the Internet by searching phrases like “teach Hindi to children” or “Hindi for kids”. By doing so, you’ll find a wealth of concrete information that will point you in productive directions. 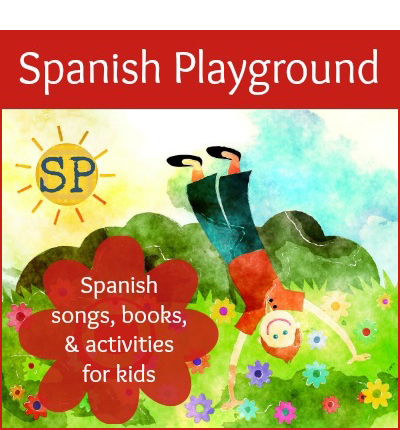 At the same time, I hope my blog (like this post These Are the Building Blocks of a Successful Bilingual Journey (and a Closer Bond) with Your Kids) and my book can continue to be helpful sources of ideas and inspiration. 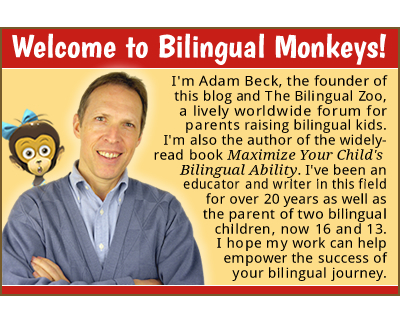 Next post: What’s the Best Language Strategy for Raising Bilingual Children?